Russia's history of airline hijackings includes disparate -- but deadly -- attacks by anti-Soviet "partisans" from Lithuania, a family of musicians and would-be émigrés, and Chechen fighters. 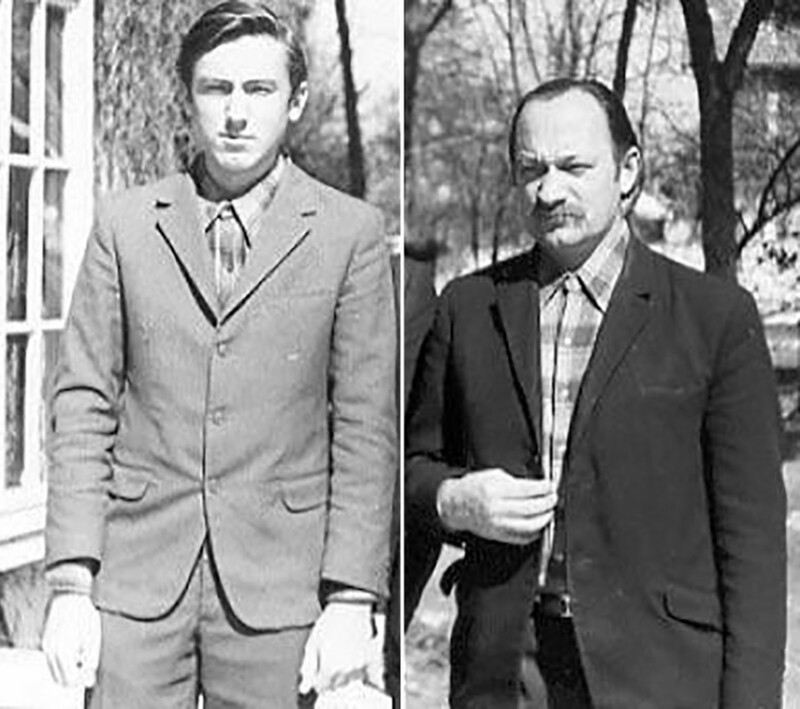 Pranas Brazinskas, a Lithuanian, and his 13-year-old son, Algirdas, were the first people who managed to hijack a plane in the USSR. That was in October 1970. Aeroflot Flight 244, an Antonov An-24 plane with 46 passengers aboard, was en route from Sukhumi, a Black Sea coastal city, to Krasnodar in southern Russia. A man in a Soviet military uniform sitting near the cockpit handed a flight attendant a note demanding that the pilots redirect the flight to Turkey. “If you do not obey, you’ll die,” the note read. To prove he was serious, the man brandished a shotgun. The 19-year-old flight attendant, Nadezhda Kurchenko, first tried to reason with the hijackers but then, shouting “Assault!,” attempted to block them from the cockpit. Pranas Brazinskas shot Kurchenko, killing her. (He later claimed she had been slain by KGB agents in disguise.) The two hijackers then commanded the passengers not to move or a grenade would be detonated. They rushed the cockpit, shooting at the crew and seriously wounding the pilot and the navigator. Despite their injuries, the crewmen safely landed the plane in Turkey. On the ground, the hijackers quickly surrendered to Turkish security forces. Brazinskas tried to present his and his son’s case as a political one, arguing that they had hijacked Flight 244 because the father faced death as a member of a Lithuanian resistance movement. Indeed, Pranas Brazinskas had been connected to a group of underground anti-Soviet partisans in Lithuania, but he quit the cause after the group mistakenly killed his father. He also had been convicted and sentenced by Soviet authorities for theft and financial crimes. In Turkey, he received an eight-year prison term for the hijacking but was granted amnesty within a few years; Algirdas Brazinskas, as a minor, was sentenced to two years. The father and son were eventually allowed to stay in the United States. In 2002, they made news again when Pranas Brazinskas was killed by Algirdas in their California home. The son, who was convicted of murder and sentenced to prison, claimed his father had become unbearable and developed paranoia out of fear that the KGB was following him. 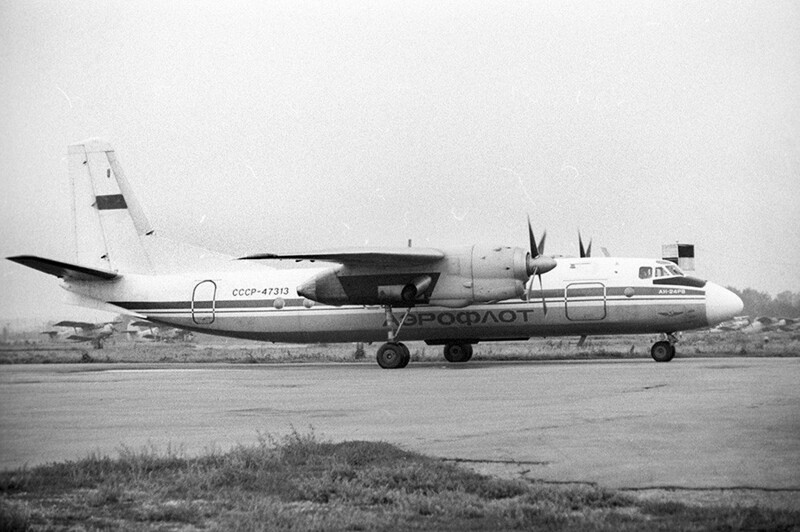 Another Soviet hijacking also involved relatives, albeit from a bigger family and with a bloodier outcome. 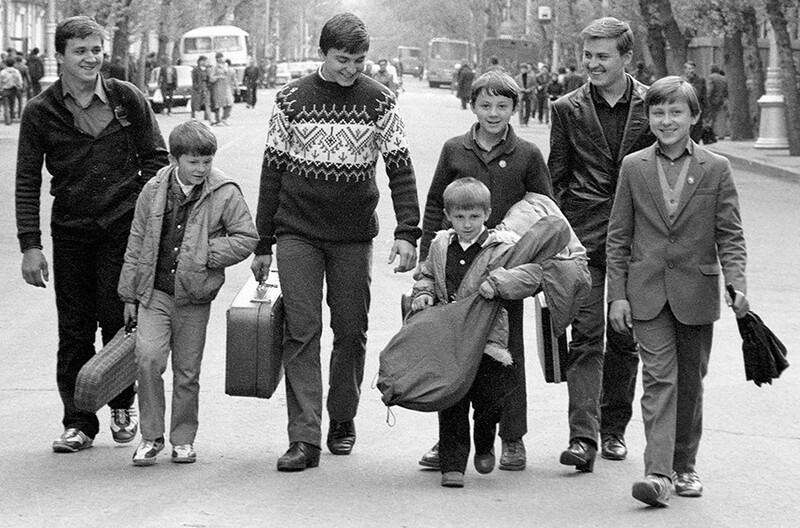 In March 1988, the Ovechkins, known in the USSR as musicians, attempted to seize a plane and flee the country. The Ovechkins had formed a jazz septet, the Seven Simeons, from among the family’s 11 children. 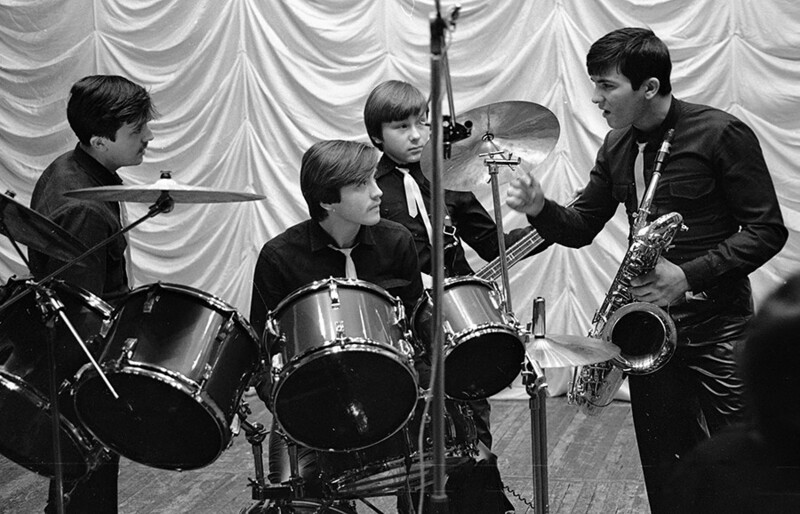 The band won awards, gained fame and made its first trip abroad. Encountering a different lifestyle prompted the Ovechkins’ widowed mother, Nina (also known as Ninel), 51, and her older children (in their 20s) to contemplate life as émigrés. On March 8, Nina Ovechkina and all but one of her children boarded Aeroflot Flight 3739, a Tupolev Tu-154 jet flying from the Siberian city of Irkutsk to Leningrad (now St. Petersburg). Shotguns and homemade bombs were hidden inside the group members’ musical instruments onboard. In midflight, the crew received a note demanding that the plane be rerouted to London or it would be blown out of the sky. However, there wasn’t enough fuel and the plane landed at a military airfield near the USSR’s border with Finland. Some of the Ovechkin brothers began shooting, killing a flight attendant. They refused to release any passengers and would not negotiate with authorities. When troops from the Soviet interior ministry stormed the plane, one of the older brothers set off a bomb, killing him and igniting a fire. Three passengers died of smoke inhalation from the fire. Ovechkina ordered one of her sons, Vasily, to shoot her and the eldest brothers. Vasily killed three of them before turning the gun on his mother and himself. Another son, 17-year-old Igor, hid in a lavatory, saving his life. Igor and his sister Olga, 28, were sentenced to eight and six years in prison, respectively. The other Ovechkin children were minors. 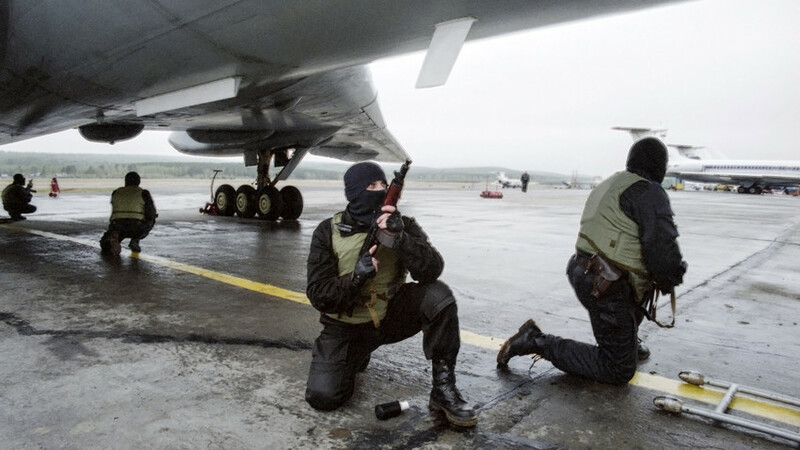 In post-Soviet Russia, the highest-profile hijacking occurred in March 2001 when a trio of ethnic Chechens seized a Vnukovo Airlines Tu-154 flying 160 passengers from Istanbul to Moscow. After takeoff, the three men began threatening to detonate a bomb unless the plane changed course for Saudi Arabia or the United Arab Emirates. The hijackers, carrying knives, tried to enter the cockpit. A struggle ensued and the plane dropped several thousand meters. The jet eventually landed at the airport in Medina, Saudi Arabia. The hijackers demanded that Russia withdraw its army from the republic of Chechnya. In Medina, Saudi security forces stormed the plane. Three people were killed: a flight attendant, a Turkish passenger and one of the hijackers. Russian media reported that while the Tu-154 was in Medina overnight, President Vladimir Putin contacted the captain and told him not to accede to the hijackers’ demands to fly to Afghanistan or Pakistan. The Kremlin approved the Saudi commando operation. Look at 10 stunning pictures of Russian airplanes taken in the skies. How did a top Soviet ace shoot down American planes during WWII?